I was sitting in our charter boat, sipping a glass of champagne and trying to see if I could bottle up the memory of this one perfect day so that I could take it out once in a while and relive it when I needed to. Being able to do that takes really being in the moment – and a great still and video camera doesn’t hurt! So, how did we get there that day? It was last July and we were visiting our son in the south of France (we’ve often said that the main purpose of having children is for their entertainment value – and we have that in spades with our son who is a dancer with Les Ballets do Monte Carlo – yes, that Monte Carlo, Monaco). 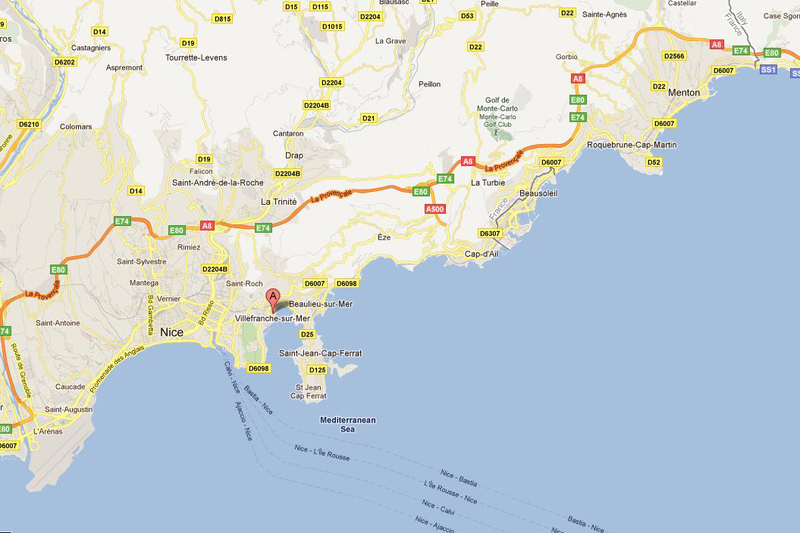 We had seen along that part of the Riviera from Roquebrune just bordering Monaco to the east, as far as Cannes in the west as we visited from time to time on foot and by car. Now, we wanted to see it all from the water. So, as any discerning travelers would do, we started our research online. We usually find that asking our friends is a recipe for disaster – many of them, as well-heeled as they might be – are unwilling to pay a bit more to get a bit more. We are not. To say that there are a lot of boat charter companies operating on the French Riviera would be a considerable understatement. We narrowed the search down and emailed several. The most personalized service, with the most interesting possibilities for planning our perfect day came from Boatbookings.com. They were efficient and knew exactly how to provide us with what we were looking for (and they all speak English which made it so much easier!). We settled on a 35-foot cruiser with a captain and catered lunch for an eight-hour cruise. 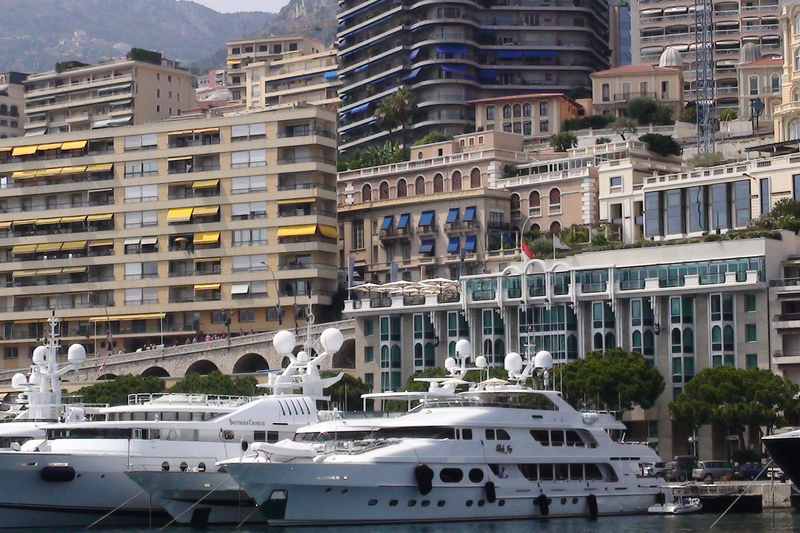 A glimpse of Monte Carlo -- from the harbor. 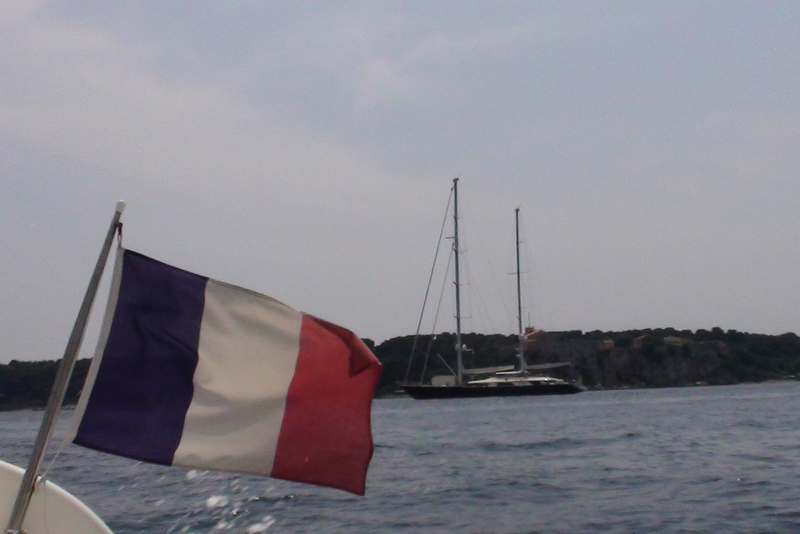 The young captain picked us up at the pier in Cap d’Ail where we always stay, and off we went for the day. We stopped to anchor twice during the day – once for swimming off the boat, and once for our picnic lunch on board. Of course, part of the perfection of the day was a result of the stellar weather – it could not have been nicer – or more luxurious. In our continuing search for those luxurious experiences, this is one that will go down in our books as worth every penny (and euro) we spent. It’s an experience that we’ll remember forever.